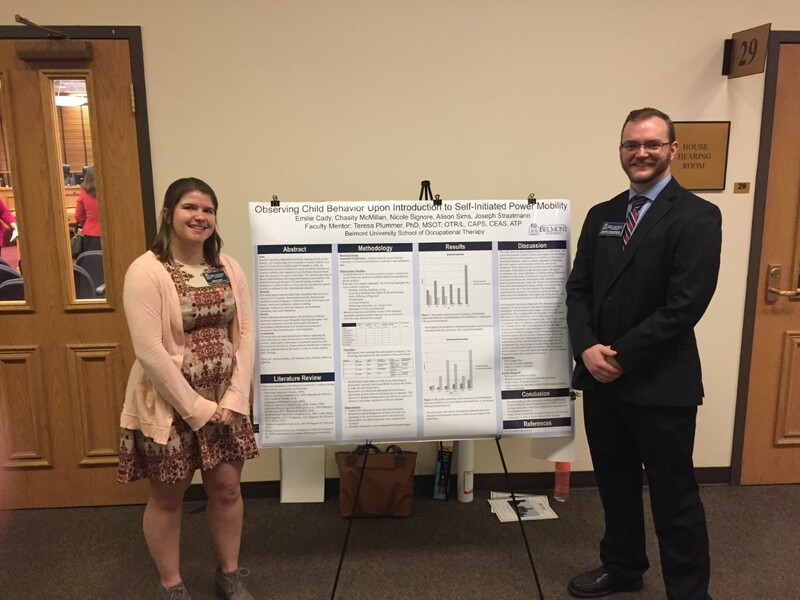 Third-year students in Belmont’s Doctoral Program in Occupational Therapy Joseph Straatmann and Emilie Edwards were recently selected to present their research at the Tennessee State Capitol as a part of Graduate Week. Straatmann and Edwards presented their research project to state legislators, Tennessee college deans and the Nashville community. Other colleges represented included UT-Martin, UT-Knoxville, Vanderbilt and Austin Peay.